Don’t think any of us have any pity for the 2-10 NY Giants this year. We’ve were down the same rabbit hole in 2015 and no one felt sorrow for the Cowboys team or its fans. Last week the Giants announced that Eli Manning would not be the starting QB in their match up with the Raiders after having amassed his 210 consecutive starts in NFL history. This time last week with the announcement, I firmly locked this game in our win column when looking at this Giants team that was spiraling in disarray. They went on about it being time to see what they have in their back up QB’s with their own aging QB being on the north side of 36. The fall out was incredible from former NYG players, who played with Eli, to the likes of fellow QB’s around the league. Guys like, Rodgers, Brady, Big Ben, Brees & Rivers to name a few players that commented. They all felt that it wasn’t handled properly and true it may have been bungled but how is there ever a right way to part with a franchise QB? The way it was handled made the ouster of Ben McAdoo a walk in the park, he became the perfect scapegoat. On Monday morning, the ogre, John Mara terminated the coaching reign of Ben McAdoo and ended Jerry Reese’s tenure as GM. Without saying so, it came down to the pressure of the NY media, fans and former players that weren’t happy with the newly proclaimed, NYG icon, being demoted. It’s now galvanized the team and their fans almost to the point of forgetting how bad things have gone. What now concerns me is that the Giants may actually be jacked up to play our Cowboys. As if they ever really need more incentive to play our Boys! Eli’s now been ordained as a martyr taking the bullet from his coaches & the owners Mara & Tisch. Granted its been a tough year for the Giants and losing Brandon Marshall & Odell Beckham, your starting WR’s in the same game earlier this year put their team in a downward spiral. Their disastrous season can’t be laid at the feet of Manning, who has been void of talent on his side of the ball this year, once those injuries hit. But how good was he? Throw in a poor offensive line and you get to be, 2-10. But to see the martyrdom is amazing from afar. They’ve all but fitted Eli for a HOF gold jacket the past ten days, but they’ve now made him an automatic selection. Personally, I’ve always felt that he wasn’t a HOF QB, but the NFL is willing to prop up the league and the Manning name, to a pagan god like stature. To be honest, entering the season, I thought that Giants and the Eagles would be our main competition this season. The Giants may very well play above their record this week and we can certainly expect Manning to be ready to show everyone that he’s not ready for being put out to pasture just yet. Eli’s licked his chops and had his share of his better games against the Cowboys in the past. He could always count on an average at best pass rush and a marginal secondary. Fortunately, he’s also had those outings where he’s been dreadful and provided that special quizzical & perplexed look in his face that makes us all, truly laugh out loud! 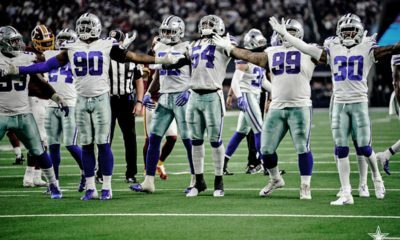 We’re going into a hostile environment and while the Giants season has been a crash & burn, this game would make their fans season, should they beat the Cowboys. It would be the vindication for management that they made the right decision in terminating McAdoo & Reese and returning Eli to his position of grandeur. Don’t dismiss that Spagnoulo is auditioning for the head coaching job himself and what better way than to prove that he can defeat their arch rivals? For a 2-10 team there’s a lot on the line this Sunday. Nothing would make the players, fans & ownership happier than exalting their newly minted martyr and throwing dirt all over the Cowboys. Imagine their excitement in getting to 3-10 at the Cowboys expense? 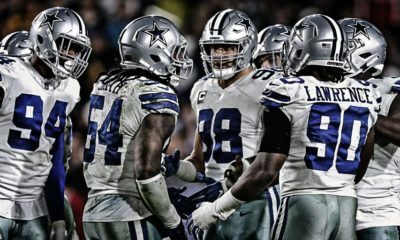 The Cowboys must match the early intensity of the Giants and their fan base or this game can become a dog fight that we, as fans, don’t want to see. Their fans have had somewhere between nothing and squat to root for since the opening game in Dallas. The Boys gave us a great performance last week against the Redskins, particularly defensively and their special teams unit was top shelf. When your special teams units, hand you ten points, you’re well on your way to victory! Expecting that to happen each week isn’t likely, but we can certainly pack our defense on the flight to New Jersey. The Giants have given Dak a tough time in the three prior meetings, with his finally breaking through with a victory in the seasons opener. A major key to this game is that he and his teammates don’t turn the ball over. Can’t stress that enough, as I/we don’t see them being a good team this season. Give them nothing and make them earn every yard and every point, on their own. No gifts, it ain’t Christmas yet! We should expect this game to be a war, as they’ve proven that if nothing else they can play well on defense against us. Running against them has been a challenge with Snacks Harrison & Landon Collins filling the gaps. If Zeke struggled, its fair to guess that Morris & company will have their challenges as well. 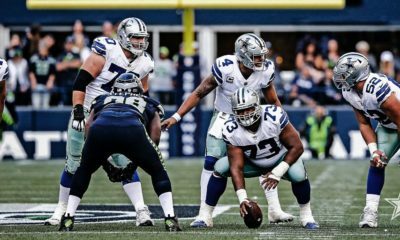 They were one of the first to really squeeze the field on the Cowboys with a good DL that pressures the QB and generally does good work against the run. 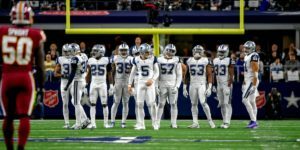 They have shrunk the field vertically on our Cowboys and that will be a major challenge for the offense again this week. Now if our defense can come up with a few turnovers of their own, well, the offense may get a few short fields to attack. Eli, the Ordinary, has been known to be quite erratic at times and can struggle knowing what color jerseys he’s throwing to on any given day. As mentioned, a week ago I thought this would be a comfortable victory, but now its got the look of one tough game. Reminiscent of days when we’ve played them for a playoff spot in week 17! 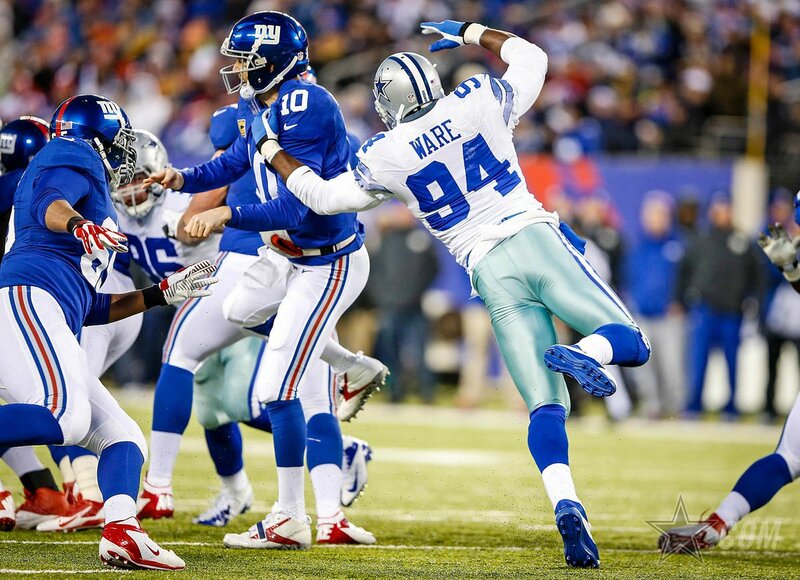 Certainly the Giants haven’t played well and the Cowboys haven’t been consistent week to week. NFL Network & Fox pre game shows will be fawning over Eli and the Giants, further hyping this game and cranking up the volume in Giants stadium. I’m still not comfortable with our offense confined to playing inside a 15-20 yard box, but that’s where we’re at. Will Dak take a shot downfield to Dez, Butler or Terrance? It certainly limits our offensive production if he doesn’t, but I can’t help but be thankful when we’re going against Eli. He can be unconscious and play really well but its usually he gots hot for a few minutes and hits some big throws down field. He’ll be Eli the Ordinary for 50 minutes but play big for the other 10. Will he throw us one or two? That’s the expectation I always have with Eli out there. Hard to sack him, he’s quick to get the ball out and floats in the pocket well, if given the room to maneuver. They have a very weak offensive line and if our D Line can apply pressure up the middle then we’ll be in good shape to turn Lawrence & Company loose off the edges. With Sean Lee back we should keep a lid on their meager running game. 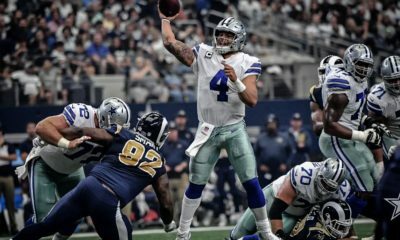 I keep coming back to the Cowboys being the better team and expect a win in a close finish, a real nail biter! A 16-13 or 13-10 game wouldn’t surprise me in this one. This could be a game that rests on the leg of Dan Bailey. It has the look of being too close for comfort, but a win’s a win! Will we see Eli the Ordinary or Eli, the Caped Crusader? Agree or disagree, hit me up with questions or comments! Stay tuned for my personal rant on Eli, which hasn’t changed in 10 years!